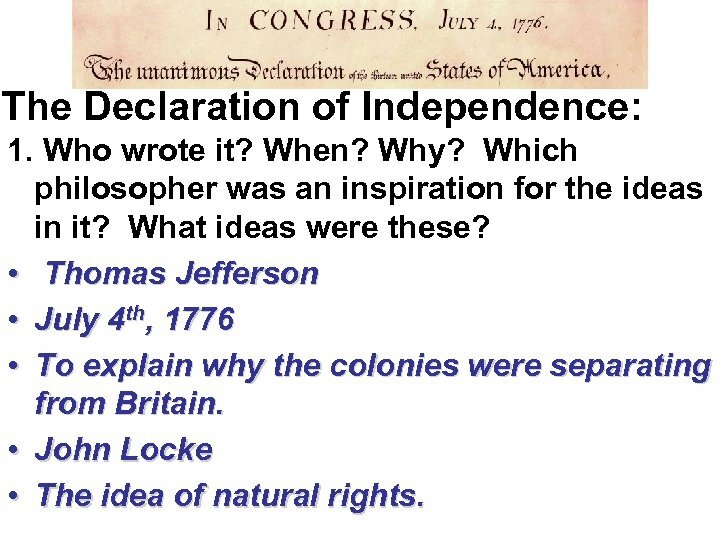 The Declaration of Independence: 1. Who wrote it? When? Why? 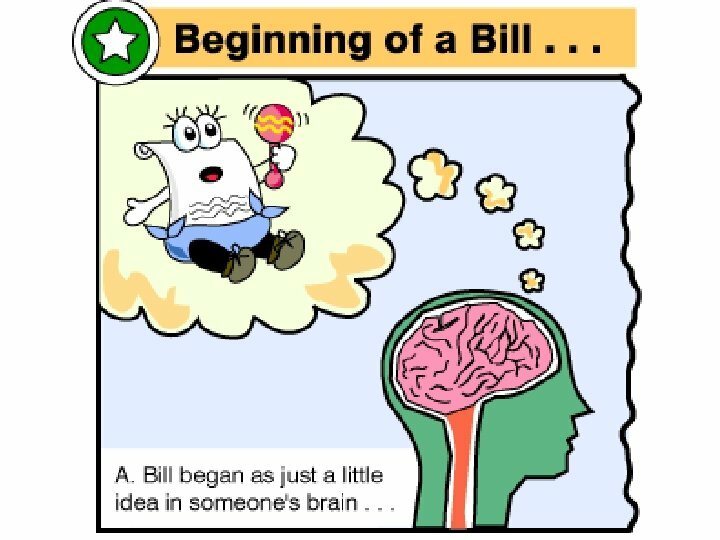 Which philosopher was an inspiration for the ideas in it? 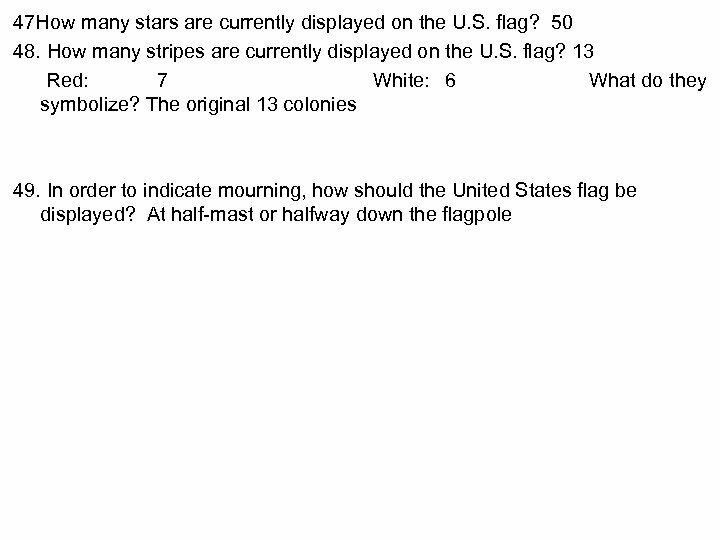 What ideas were these? • Thomas Jefferson • July 4 th, 1776 • To explain why the colonies were separating from Britain. • John Locke • The idea of natural rights. 2. 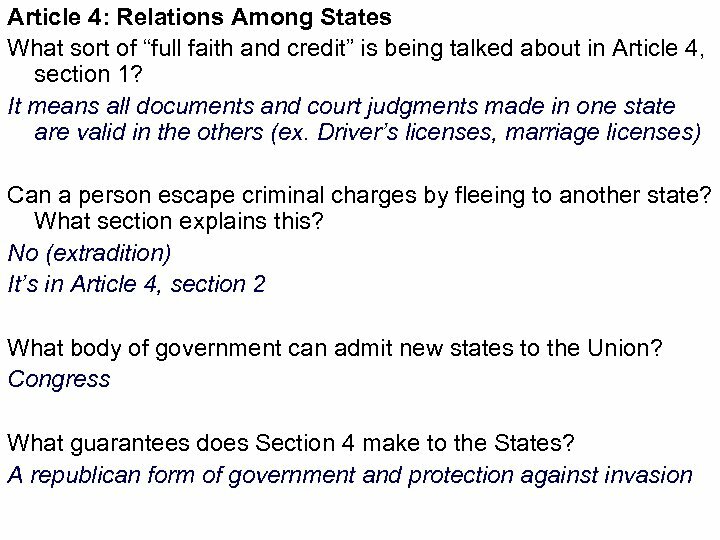 What were the four “self-evident truths” that were described? • That all men are created equal. 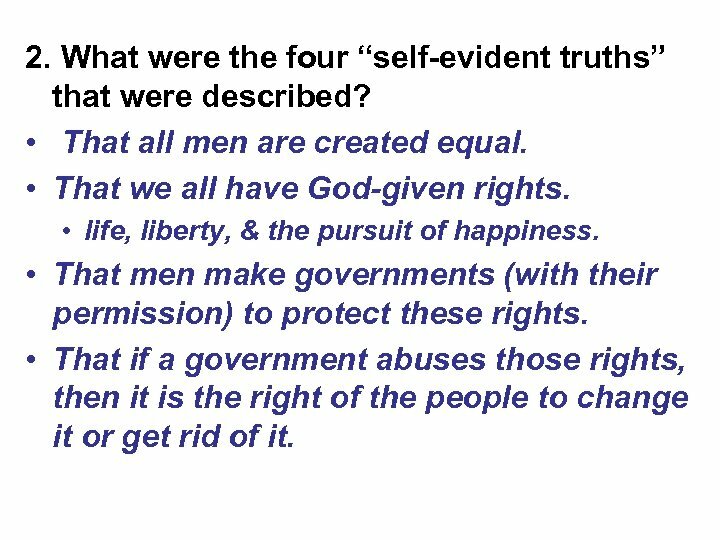 • That we all have God-given rights. • life, liberty, & the pursuit of happiness. 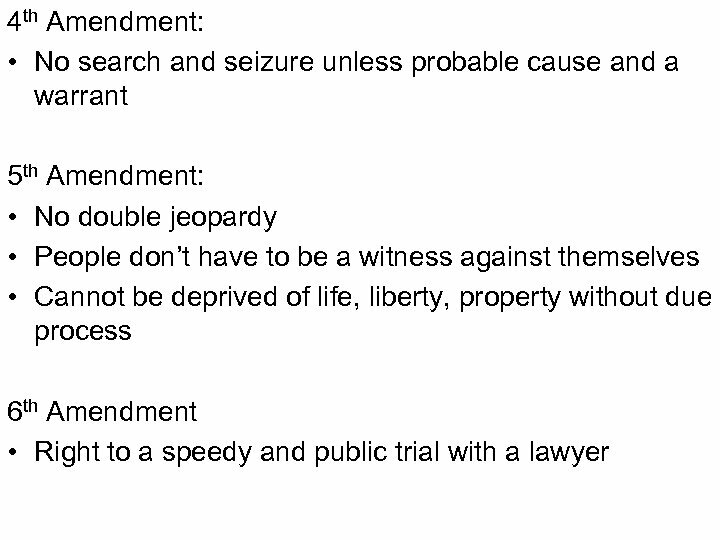 • That men make governments (with their permission) to protect these rights. • That if a government abuses those rights, then it is the right of the people to change it or get rid of it. After the Revolution, Americans worked to form the foundations of a Republic. 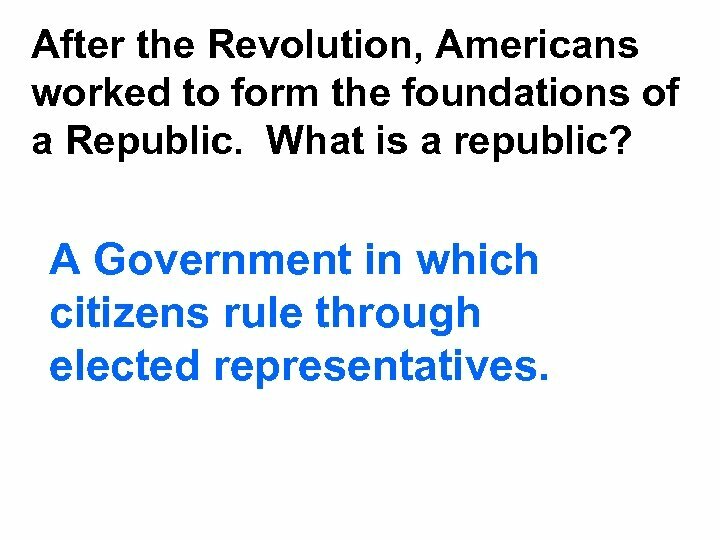 What is a republic? A Government in which citizens rule through elected representatives. 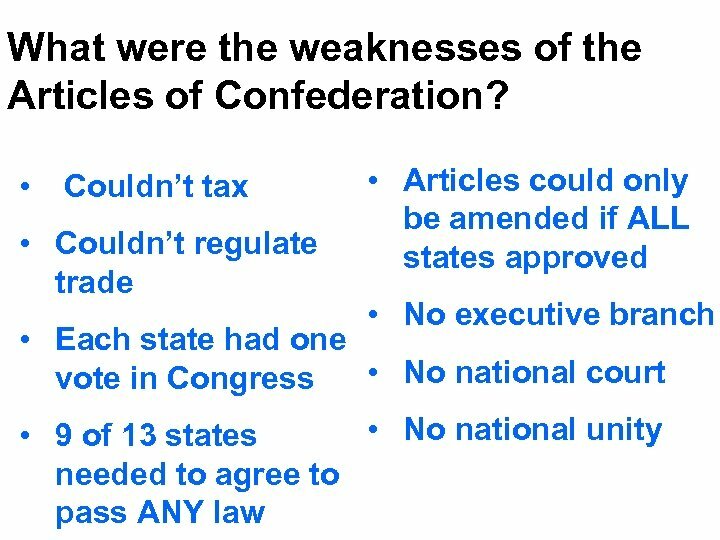 Why would some Americans have thought that the weaknesses of the Articles of Confederation were actually good? Some Americans did not want another strong government like Great Britain. 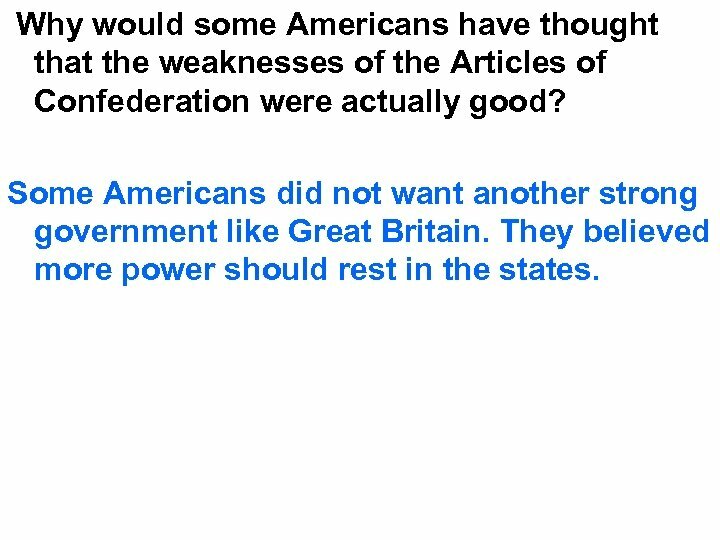 They believed more power should rest in the states. 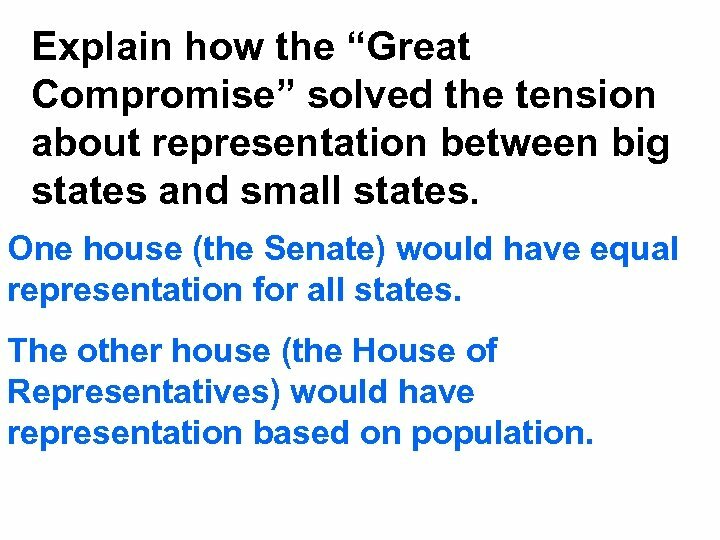 Explain how the “Great Compromise” solved the tension about representation between big states and small states. 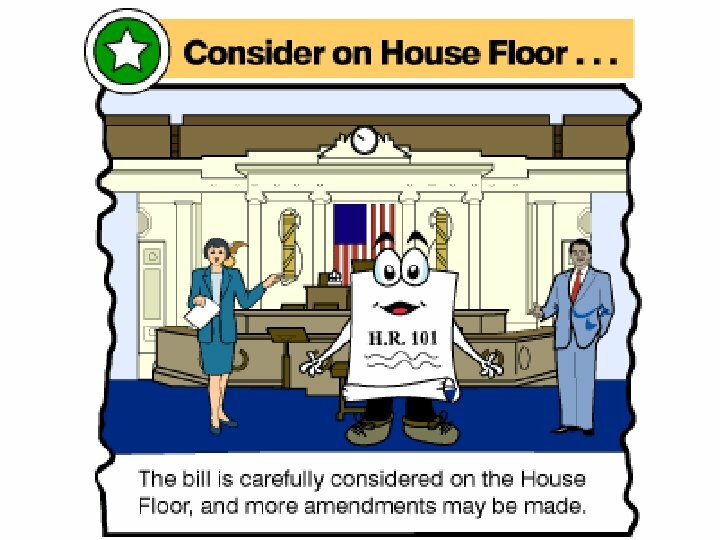 One house (the Senate) would have equal representation for all states. 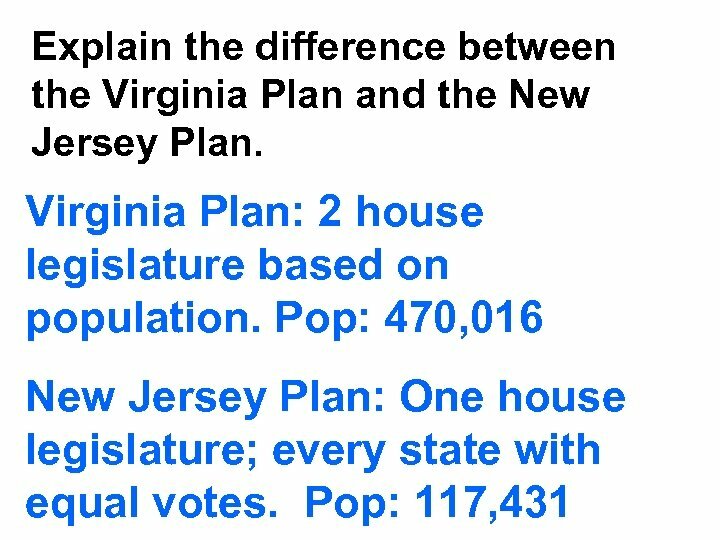 The other house (the House of Representatives) would have representation based on population. 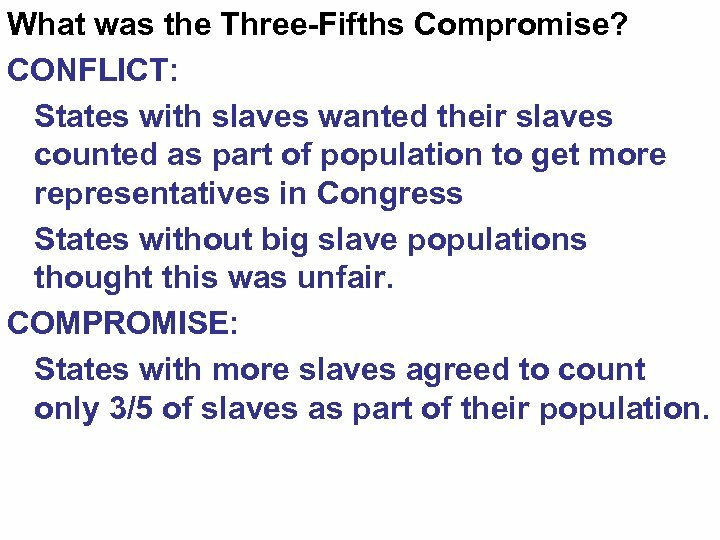 What was the Three-Fifths Compromise? 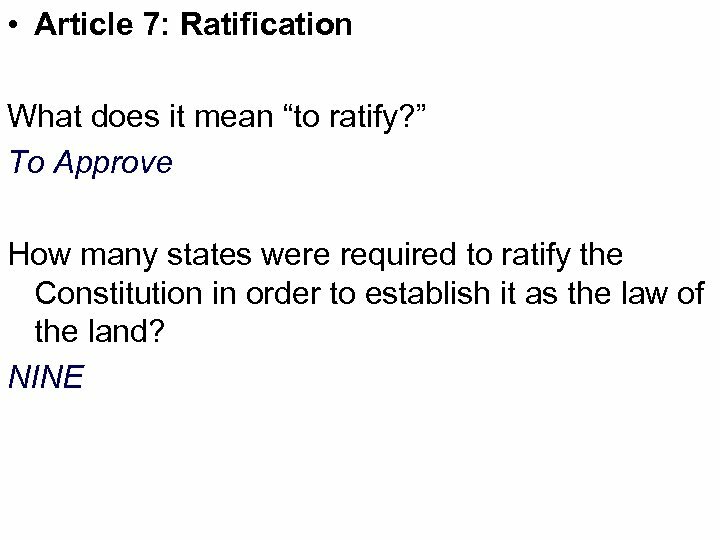 CONFLICT: States with slaves wanted their slaves counted as part of population to get more representatives in Congress States without big slave populations thought this was unfair. 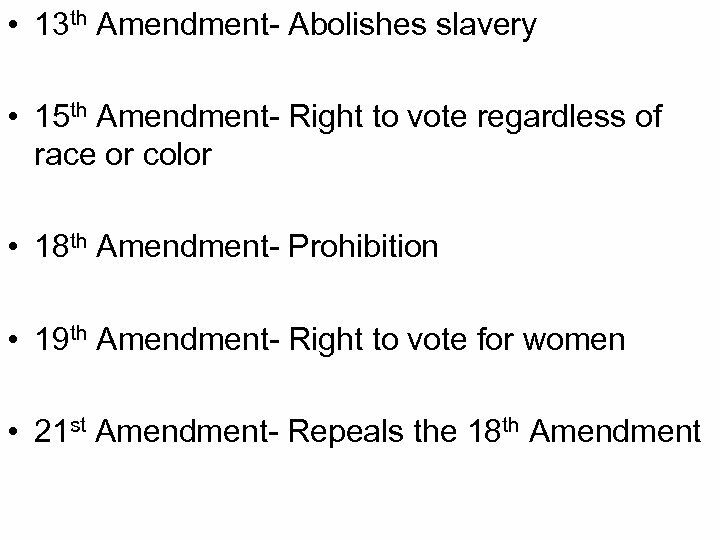 COMPROMISE: States with more slaves agreed to count only 3/5 of slaves as part of their population. What is the Division of Powers? 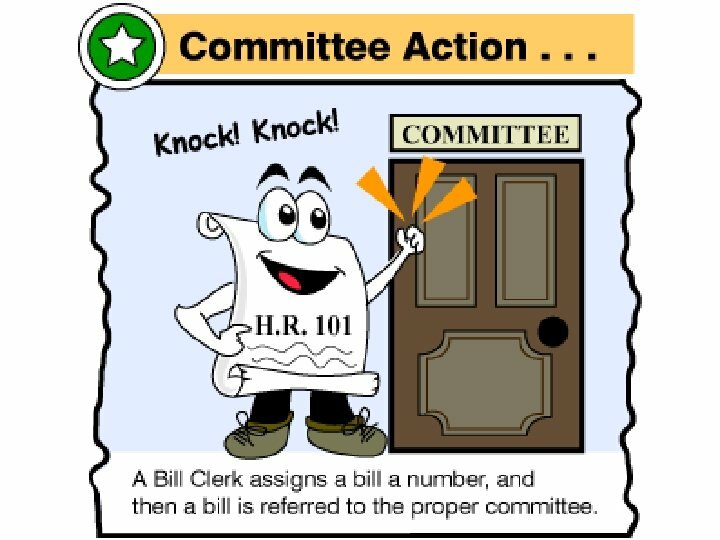 What’s another name for it? 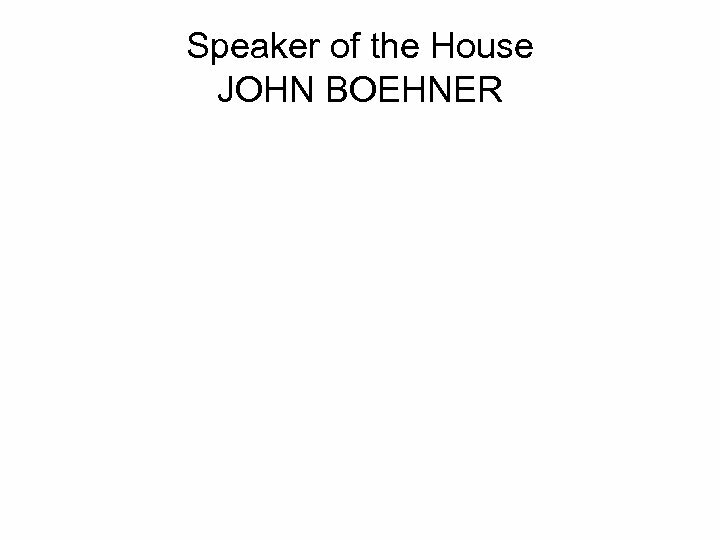 Who holds powers not specifically granted to the Federal government? 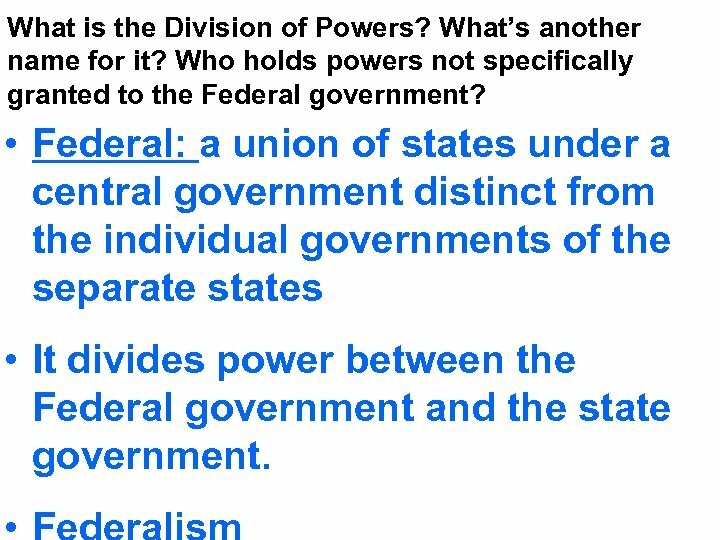 • Federal: a union of states under a central government distinct from the individual governments of the separate states • It divides power between the Federal government and the state government. 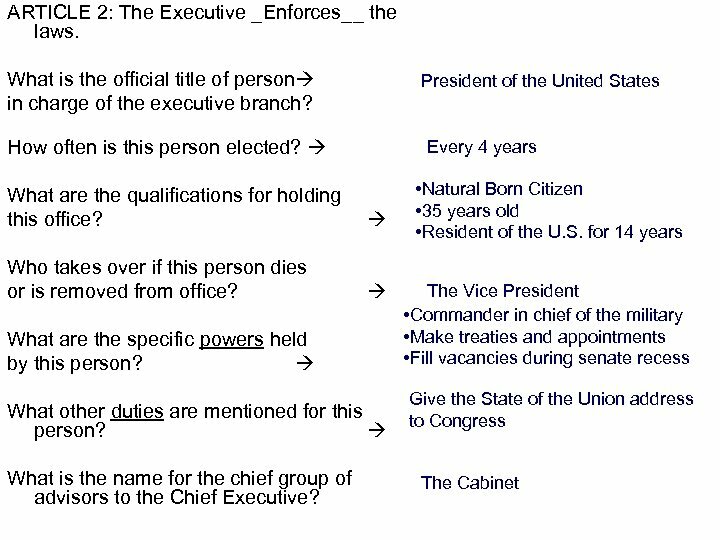 What is the Separation of Powers? 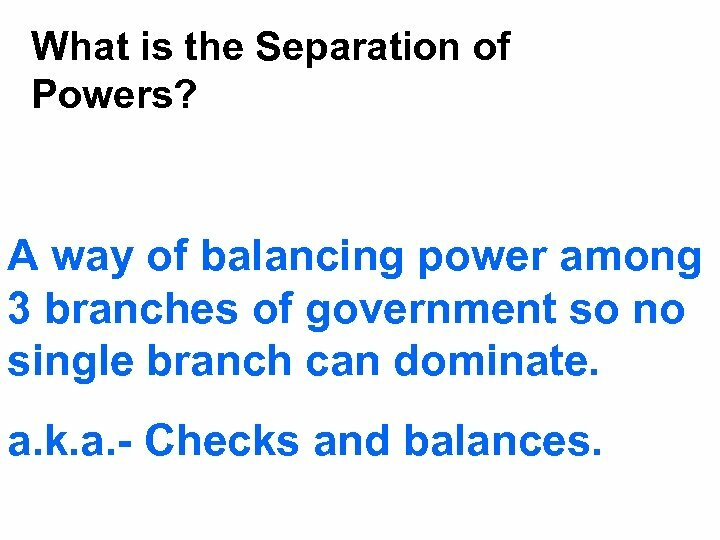 A way of balancing power among 3 branches of government so no single branch can dominate. a. k. a. - Checks and balances. 16. 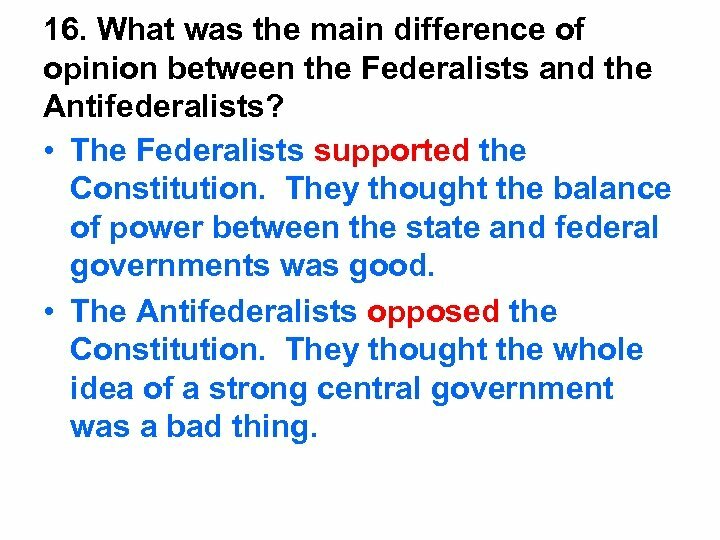 What was the main difference of opinion between the Federalists and the Antifederalists? 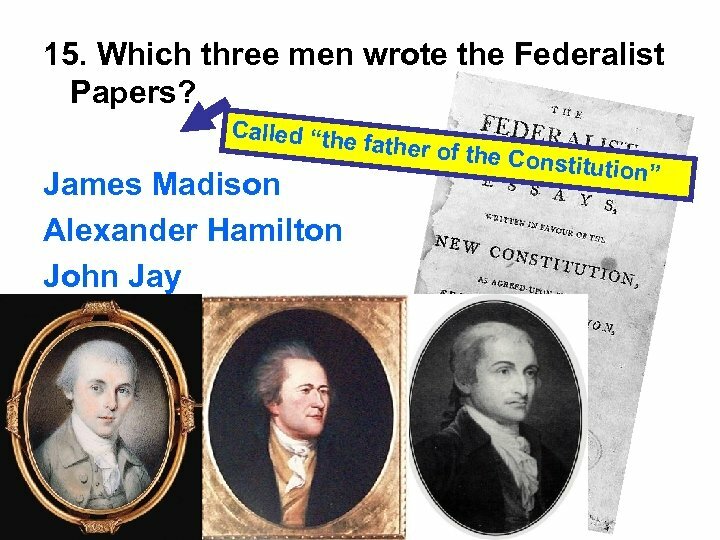 • The Federalists supported the Constitution. They thought the balance of power between the state and federal governments was good. • The Antifederalists opposed the Constitution. They thought the whole idea of a strong central government was a bad thing. 17. 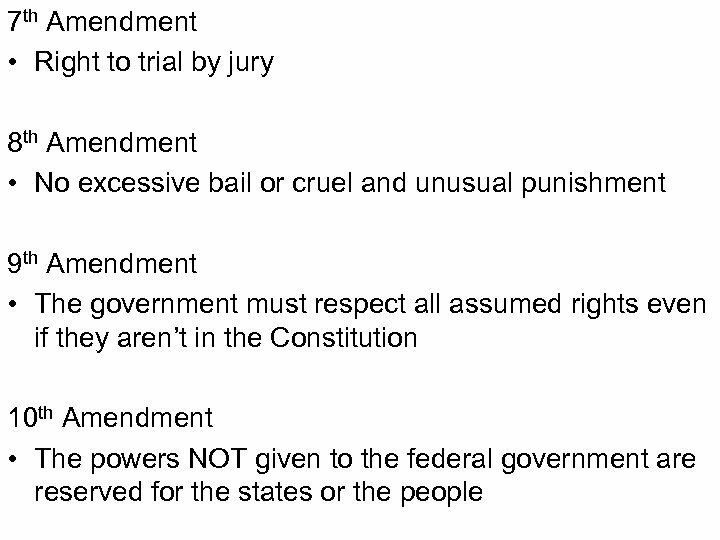 What was the Bill of Rights and how did it ensure ratification of the Constitution? 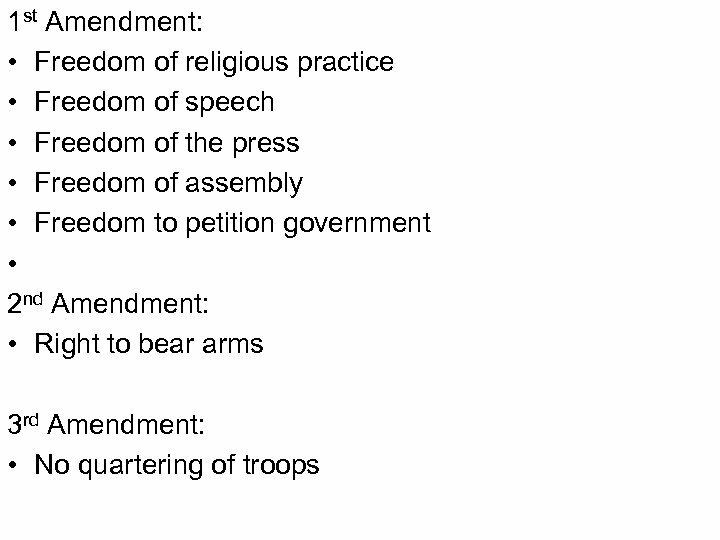 • It was a formal list of the rights and freedoms of individual citizens. 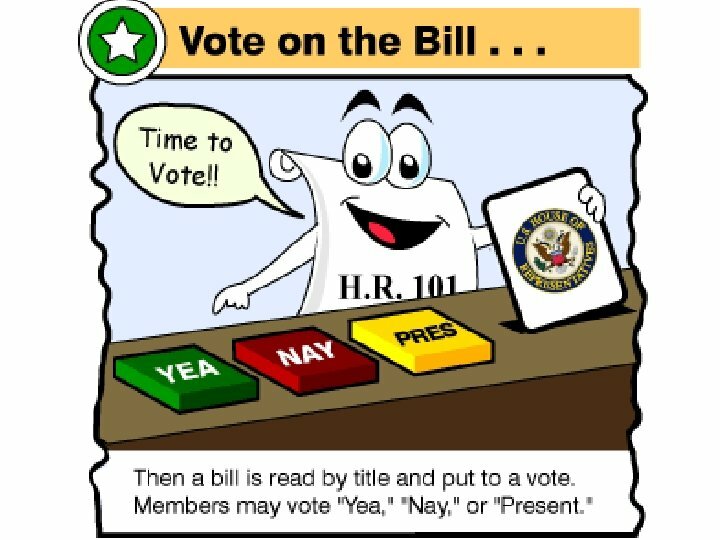 • Many people would not vote for the Constitution unless it included a Bill of Rights. 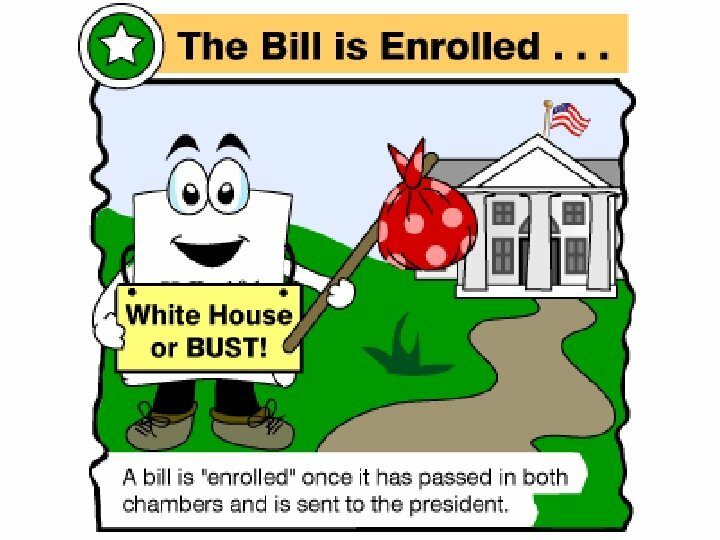 They wanted a guarantee that this newer, stronger federal government could not violate their individual liberty. 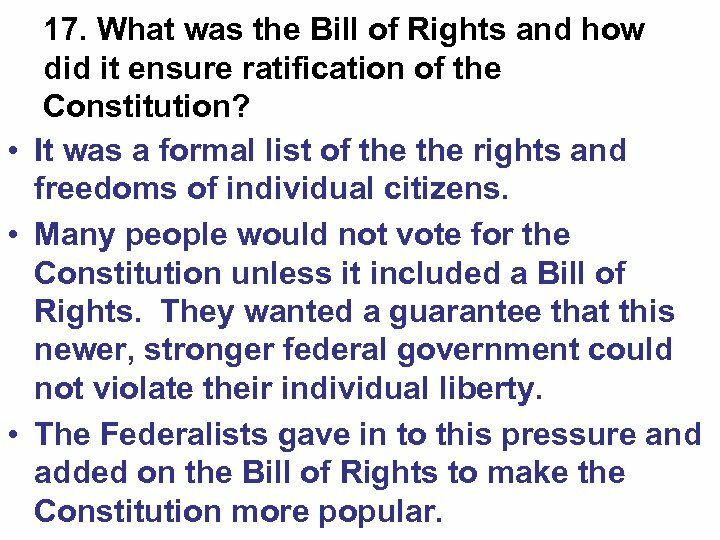 • The Federalists gave in to this pressure and added on the Bill of Rights to make the Constitution more popular. 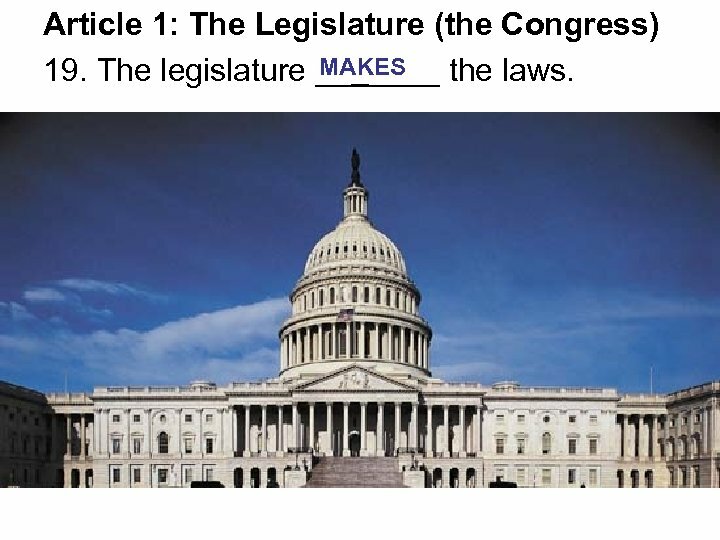 Article 1: The Legislature (the Congress) MAKES 19. 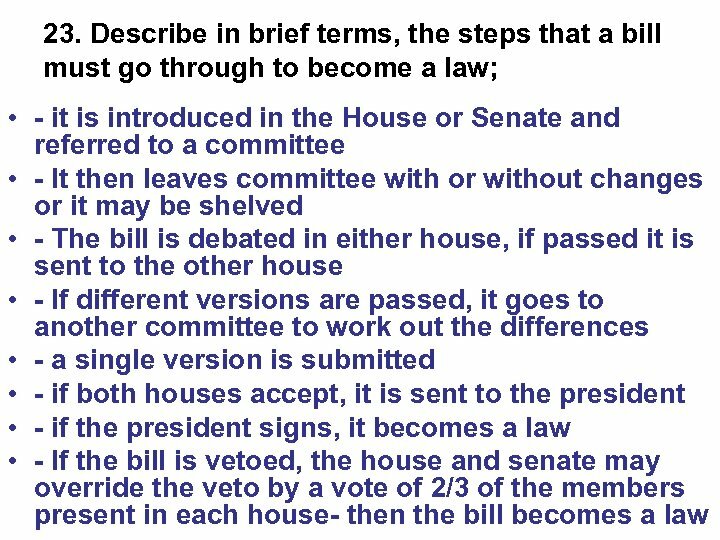 The legislature _______ the laws. 20. 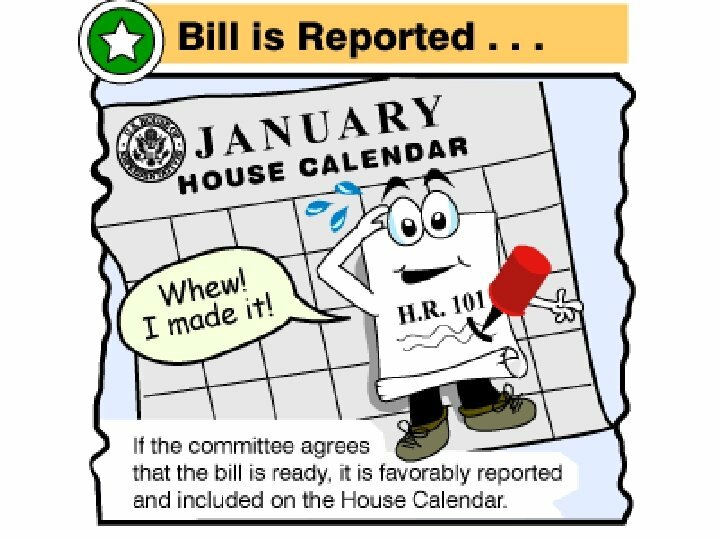 What are the 2 houses of Congress? 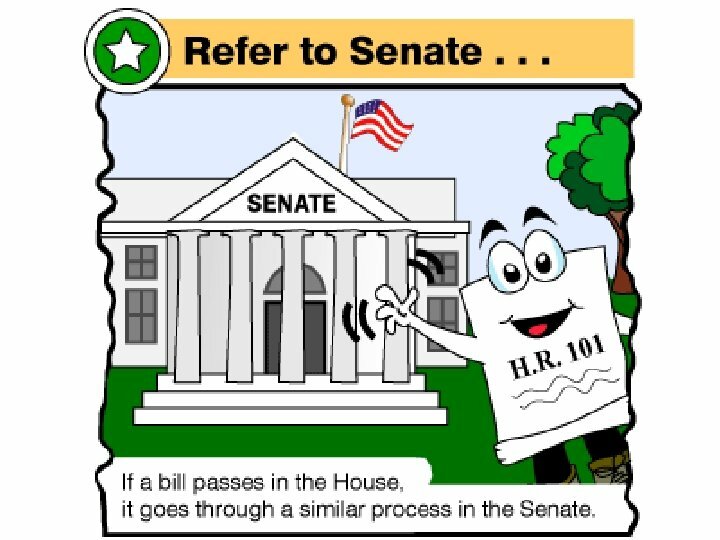 Senate How often are members elected? Every 6 years What are the qualifications? 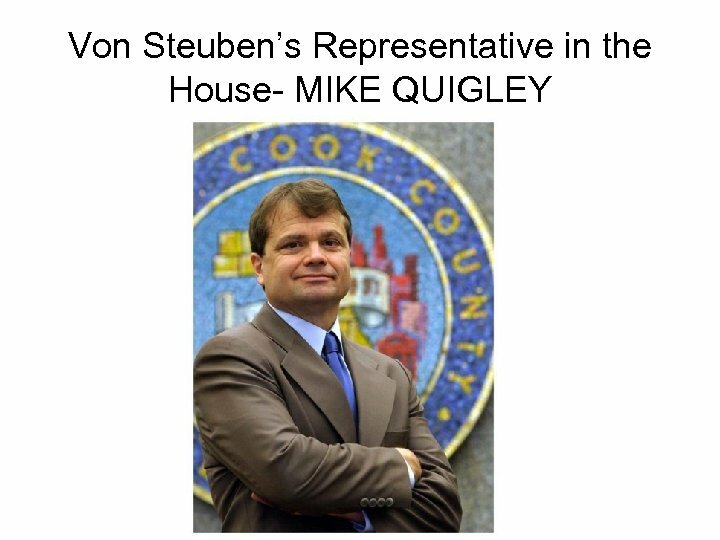 · 30 years old ·Citizen for 9 years ·Must live in the state which elects him/her TWO How many members per state? 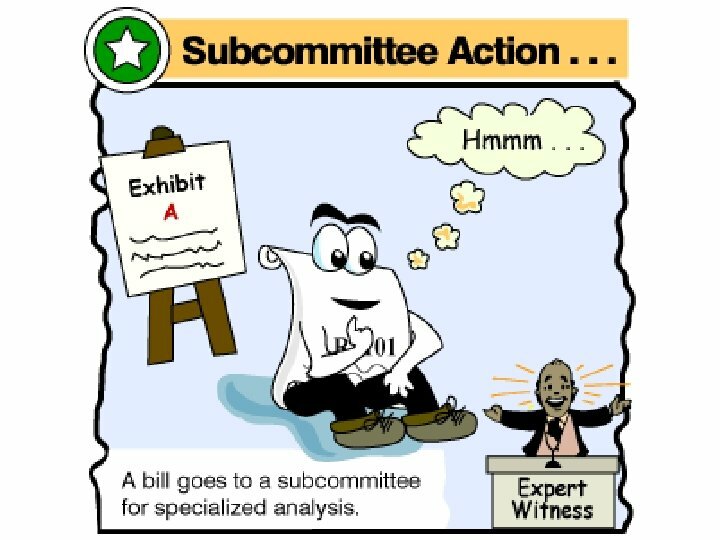 Who is the presiding officer? 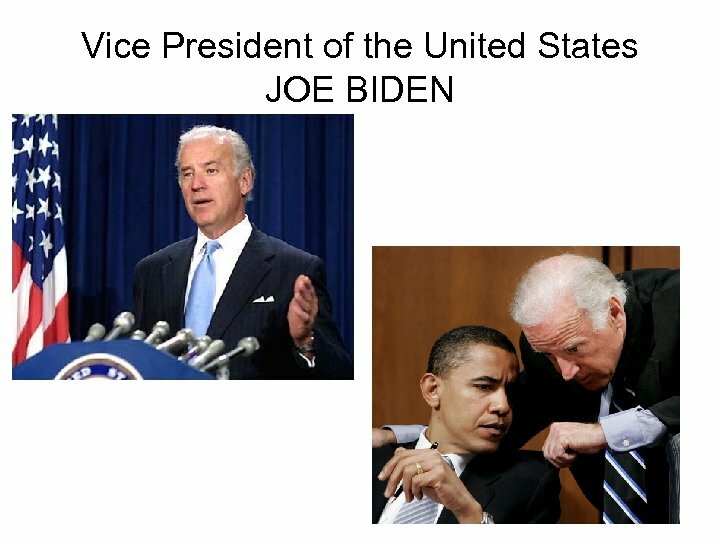 President of the Senate (VP) What are their special duties? 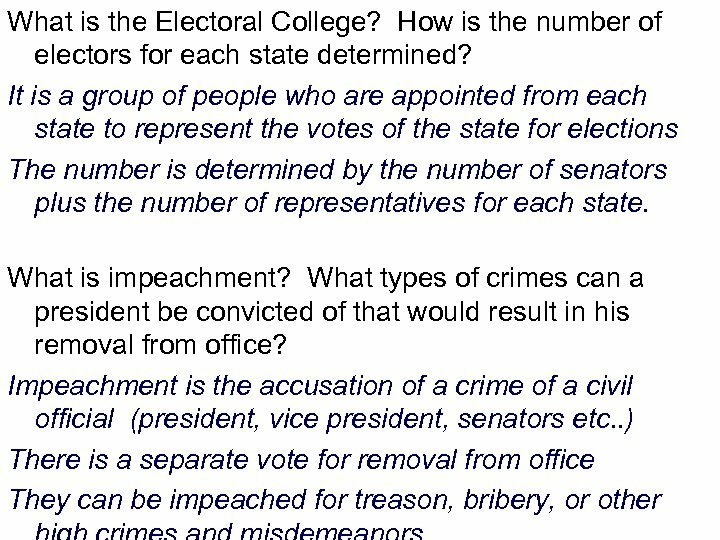 They have the sole power to try impeachment cases. 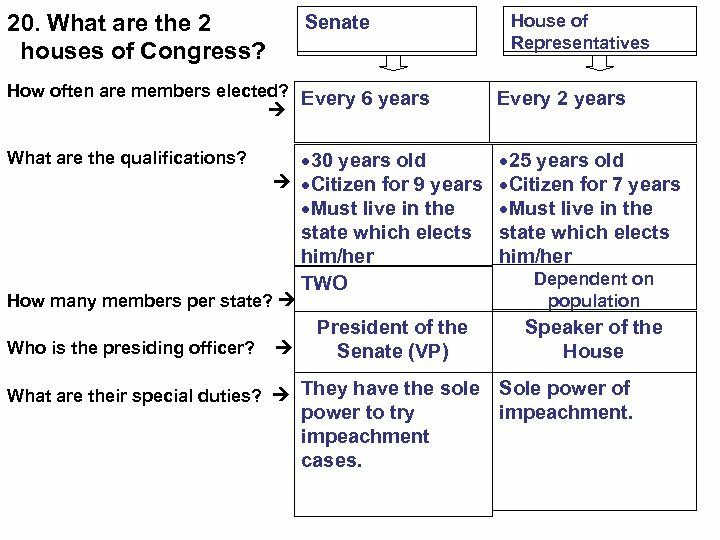 House of Representatives Every 2 years · 25 years old ·Citizen for 7 years ·Must live in the state which elects him/her Dependent on population Speaker of the House Sole power of impeachment. 21. 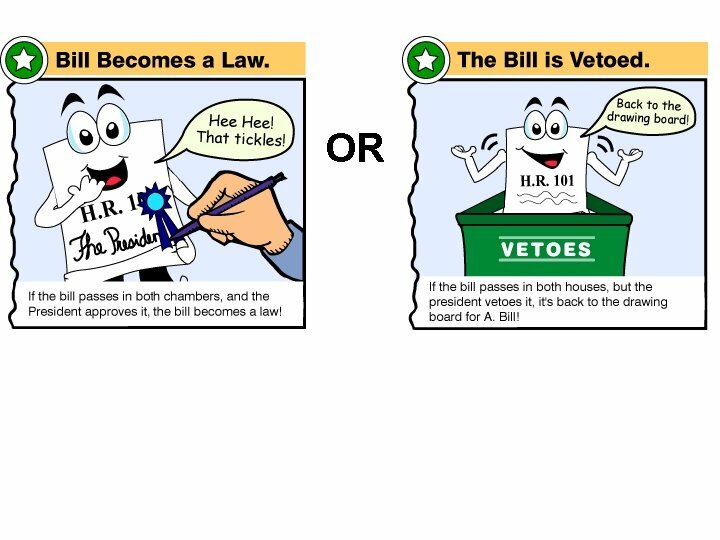 What’s the difference between a bill and a law? 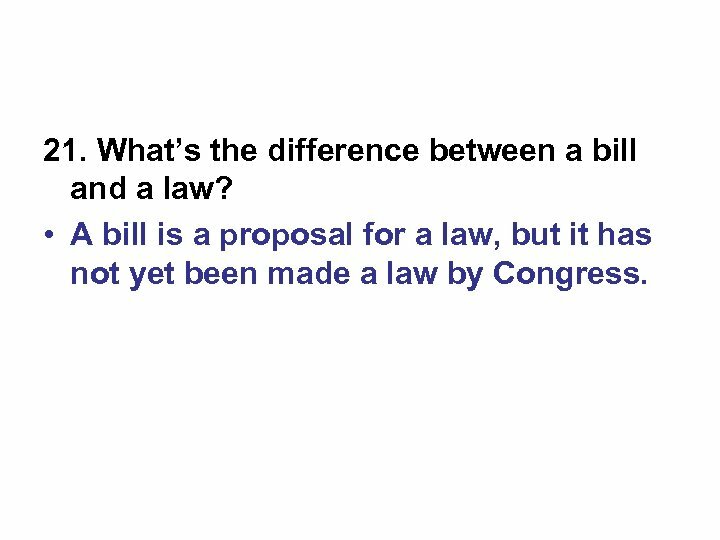 • A bill is a proposal for a law, but it has not yet been made a law by Congress. 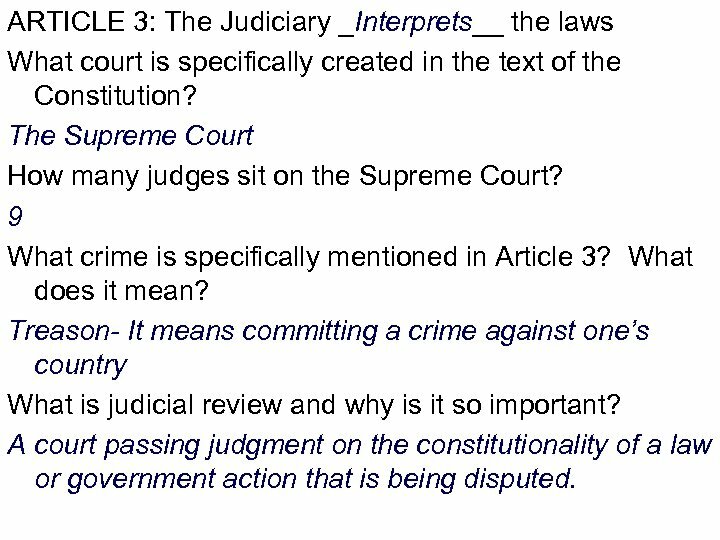 ARTICLE 3: The Judiciary _Interprets__ the laws What court is specifically created in the text of the Constitution? The Supreme Court How many judges sit on the Supreme Court? 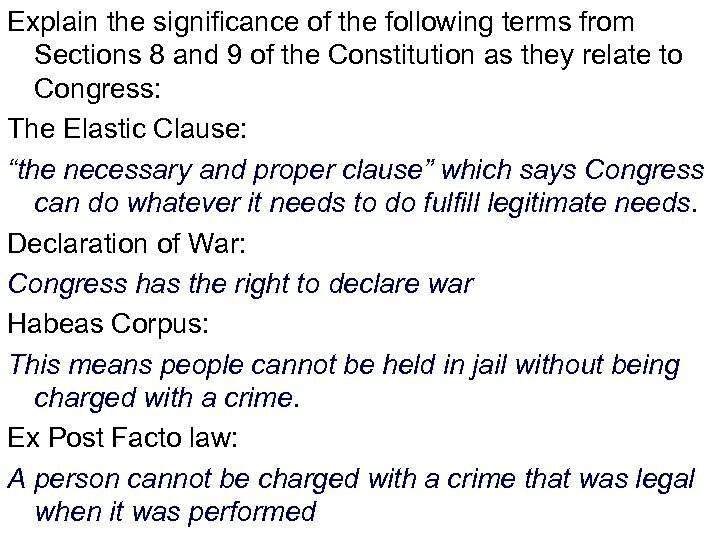 9 What crime is specifically mentioned in Article 3? What does it mean? 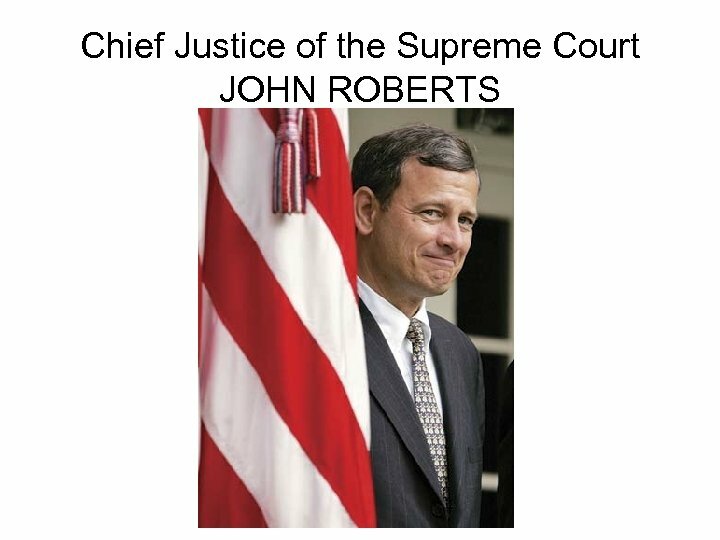 Treason- It means committing a crime against one’s country What is judicial review and why is it so important? A court passing judgment on the constitutionality of a law or government action that is being disputed. 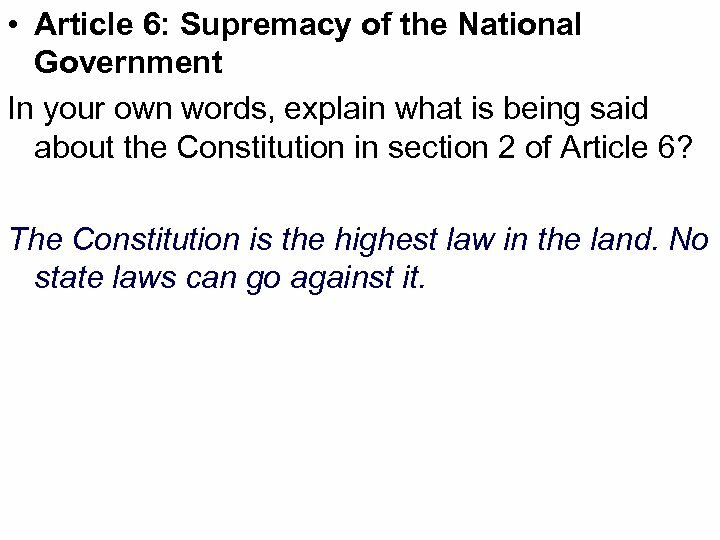 • Article 6: Supremacy of the National Government In your own words, explain what is being said about the Constitution in section 2 of Article 6? 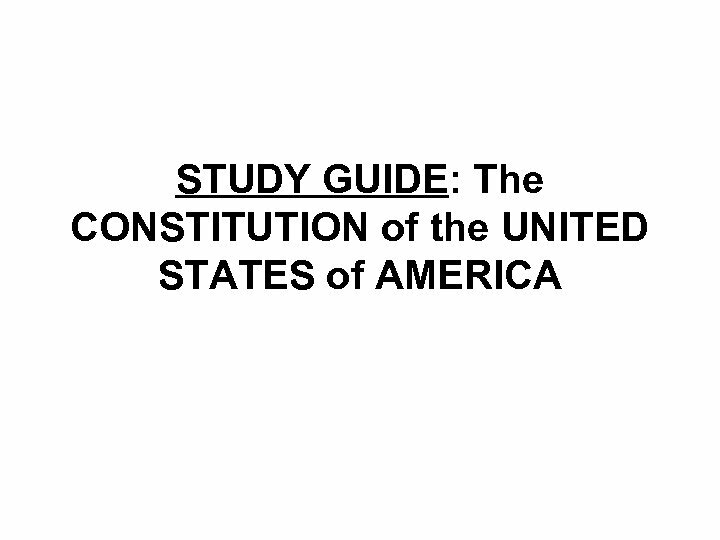 The Constitution is the highest law in the land. No state laws can go against it. 50. 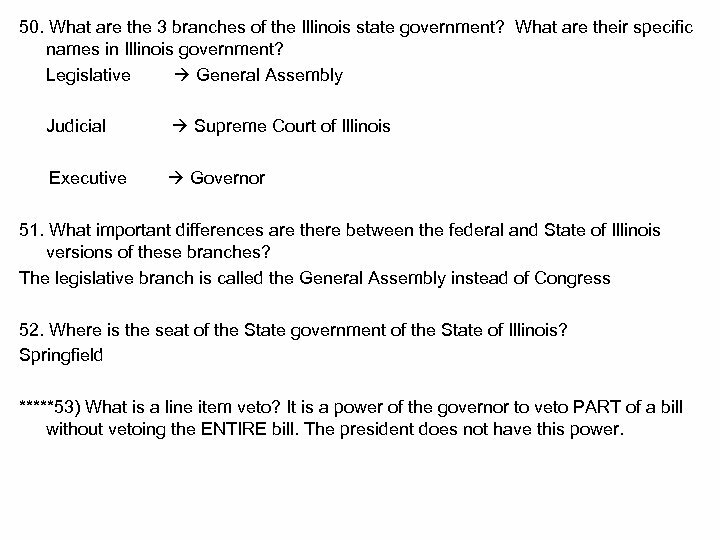 What are the 3 branches of the Illinois state government? 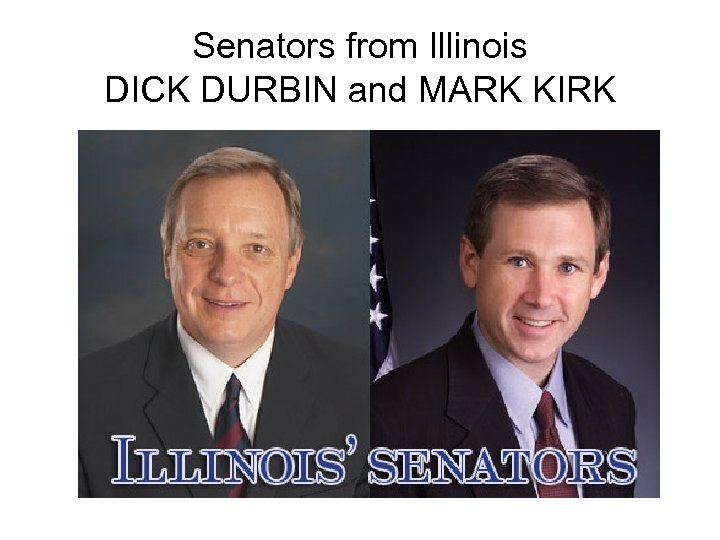 What are their specific names in Illinois government? 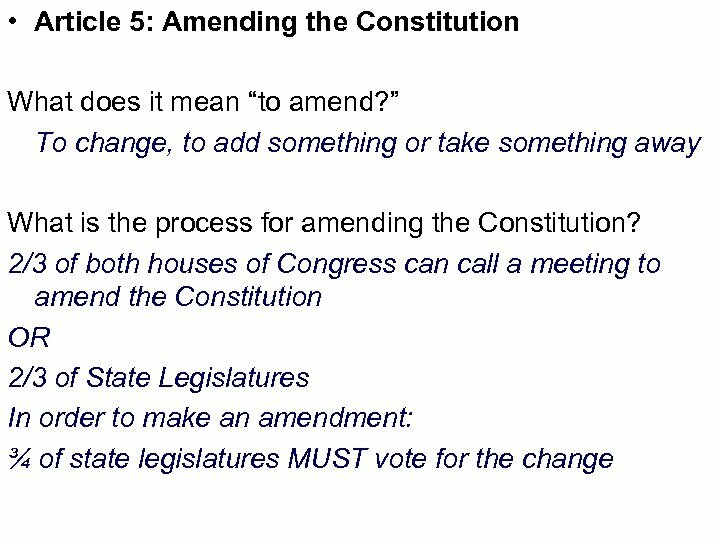 Legislative General Assembly Judicial Supreme Court of Illinois Executive Governor 51. 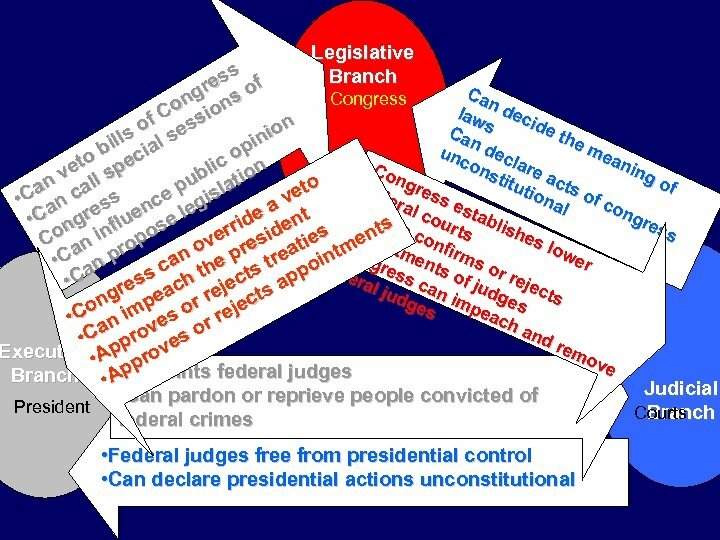 What important differences are there between the federal and State of Illinois versions of these branches? 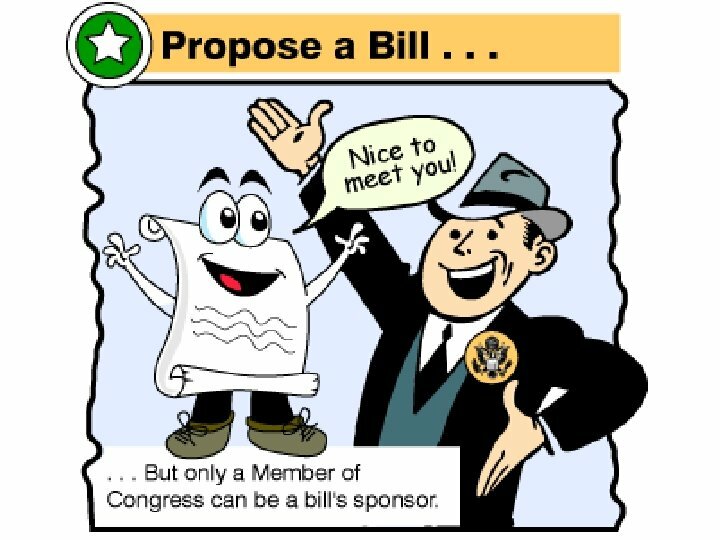 The legislative branch is called the General Assembly instead of Congress 52. 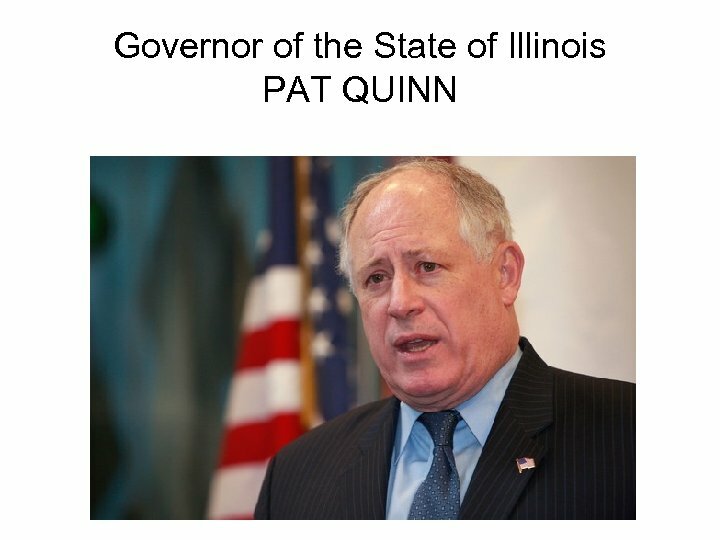 Where is the seat of the State government of the State of Illinois? 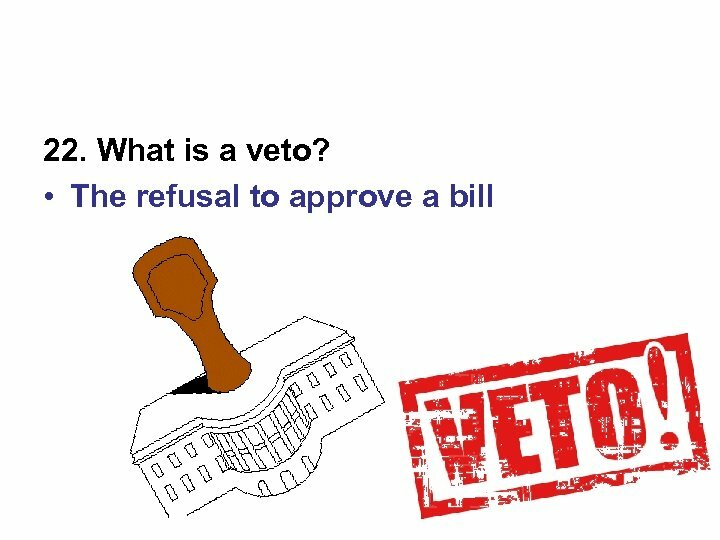 Springfield *****53) What is a line item veto? 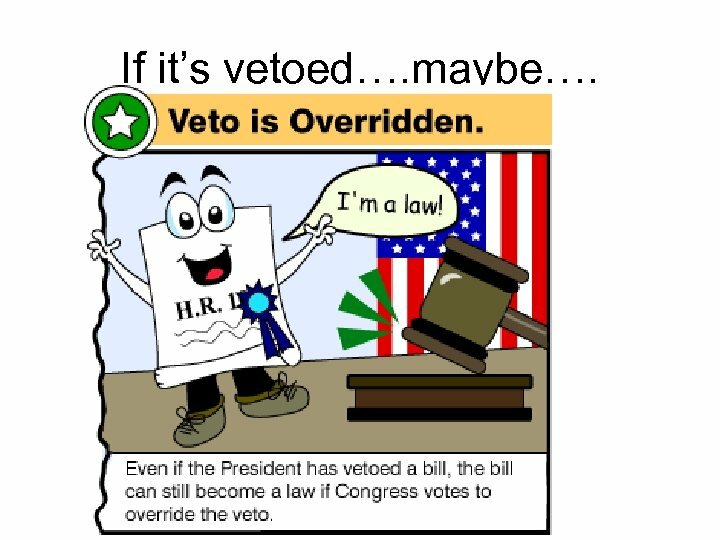 It is a power of the governor to veto PART of a bill without vetoing the ENTIRE bill. 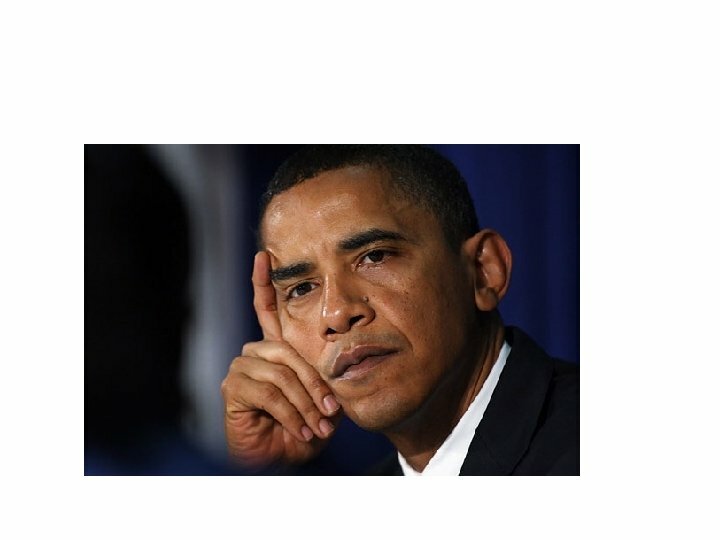 The president does not have this power.